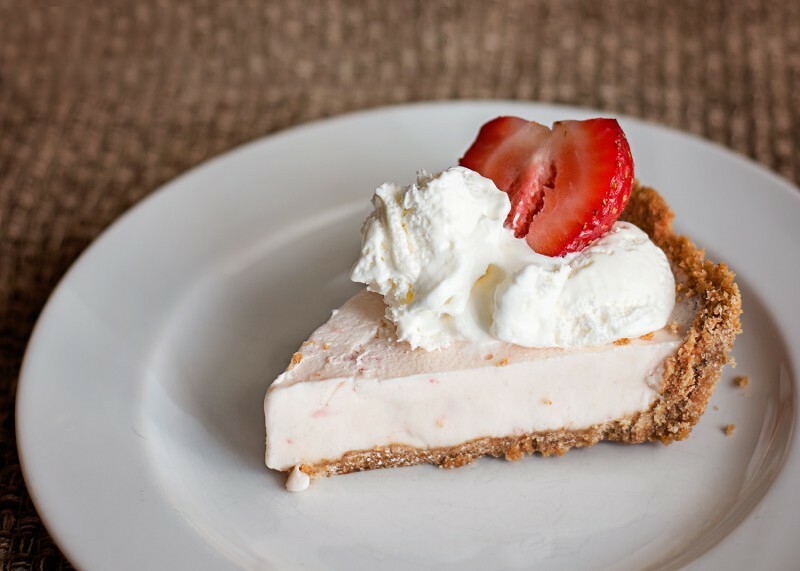 Skip the Heavy Summer Time Desserts and Make a Yogurt Pie! The sounds of summer have arrived! “Mom, I’m hungry”. This is what I hear from my kitchen at least 15 times a day. Now that school is let out, I’ve been stocking my kitchen up with tons of wholesome snacks that my kids can snack on. Our days are busy, from going to the gym, traveling on vacation, trips to the pool and sometimes it is hard to slow down. By stocking up on lots of wholesome food, the kids can be independent when it’s snack time and give this mommy a break. During my last trip to Walmart, I picked up a few varieties of Yoplait Yogurt. While yogurt is one of our “go-to” breakfasts, we also like it to use it in our cooking and for snacking. 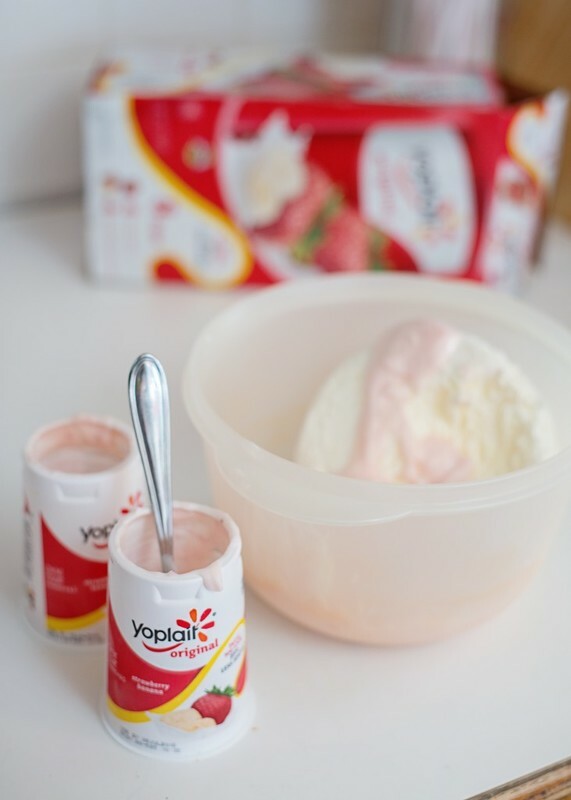 Yoplait Yogurt Tubes are great for eating from the fridge, or sometimes we even freeze them for a fun treat. We also like to get Greek Yogurt for smoothies and of course, the Original Yoplait Yogurt is always on the list as it is great for any snack or meal. We recently attended a friend’s barbeque and I was asked to bring a dessert. Since the summer heat is starting to come in, I thought it would be great to make a cool treat that wasn’t too heavy. With all of this Yoplait Yogurt in our fridge, I went for a yogurt pie! We make these all of the time for a guilt free dessert. Yogurt pies are easy to make and don’t take a lot of ingredients or time. You can start with a homemade graham cracker crust, or you can go easy with a prepackaged graham cracker crust. Because I wanted to go with what we had on hand, my pie used a homemade graham cracker crust. In a large bowl, mix the yogurt and whipped topping together until light and fluffy. Pour into a graham cracker pie crust and stick in the freezer for a few hours, best if you can overnight it. Let it thaw for 15 minutes before cutting and place leftovers back into freezer. 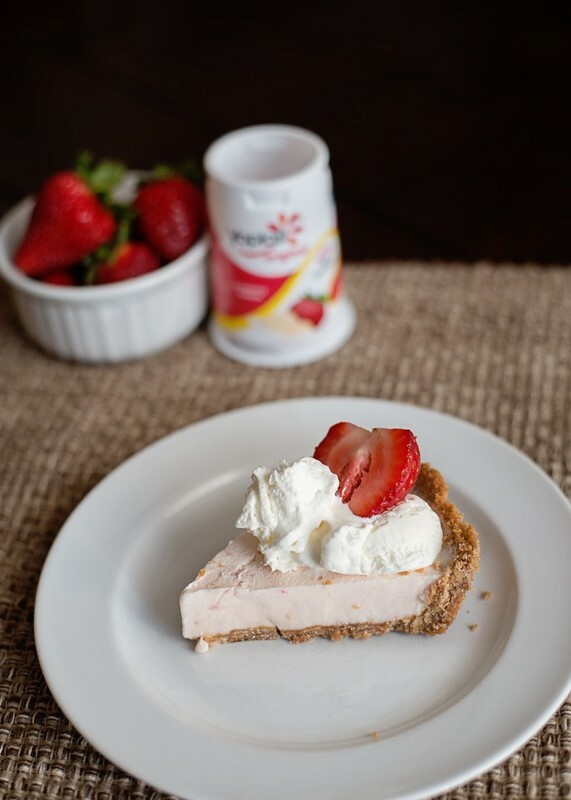 Next time you are at Walmart, pick up some Yoplait yogurt for this pie. It’s so versatile as Yoplait comes in tons of different flavors! If you get a chance to make a yogurt pie, let me know what flavors you tried! Something else to note, if you are at Walmart on July 10th, there will be various product demonstrations being done as well. Yum yum! ← Celebrate National Hamburger Month with a Hamburger Helper® Rebate!